Do you believe in the health benefits of mushrooms? If you don’t, you might change your mind once you read our comprehensive guide. Today, we’re going to share a variety of important facts about mushroom coffee and the “balanced stimulation” advantages that it provides. Mushroom coffee has gained popularity over the past two years, because companies, such as Four Sigmatic, are producing high-quality versions which are marketed as potent superfood/stimulant hybrids. You may put a mushroom coffee blend in your coffeemaker, so you’ll be able to make a cup (or a pot) of mushroom coffee quickly, right from the comfort and privacy of your own home. The process of making it won’t be any different than what you’re used to. The best mushroom coffees contain organic ingredients which offer a plethora of health and performance benefits. If you’re a guy who wants to enjoy the good points of typical coffee, without the usual downside, then mushroom coffee may be exactly right for you. This interesting form of coffee will make it easier for you to be productive, without causing unwanted jitters. The key performance benefit of mushroom coffee is its Nootropic properties. When a product is Nootropic, it enhances cognitive functioning. Sigma Four is one of the most famous manufacturers of mushroom coffee. 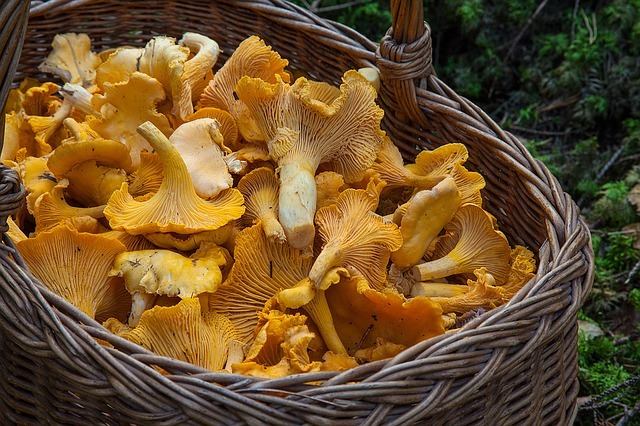 To get the inside scoop on ingredients in their mushroom coffee mixes, we researched this Finnish company and its products online. We were impressed by the care that this company puts into its powdered mushroom coffee mixes. Ingredients in Sigma Four mushroom coffees are remarkably pure. In addition to Arabica coffee which is organic (beans are sourced from the scenic Sierra Madre de Chiapas highlands of Mexico), this type of coffee contains organic Lion’s Mane mushrooms, as well as organic Siberian Chaga Mushrooms. To finish off their signature mushroom coffee blend, the team at Sigma Four add organic Rhodiola root. Now, let’s talk about the mushrooms. Why do they add health benefits to Arabica coffee? Well, Chaga mushrooms are powerful antioxidants. As you may already know, antioxidants inhibit cell damage. They keep the body in younger condition. Mushroom coffees from Sigma Four may also have “Nootropic” benefits, because the Lion’s Mane mushrooms in Sigma Four mushroom coffee are renowned for their ability to boost cognitive functioning. Also, the Rhodiola root in this coffee is classified as an adaptogen. This means that it will support superb memory function and enhance concentration. These roots are sourced from mountain ranges in Tibet. Other companies also make mushroom coffee mixes, so ingredients may vary based on brand. However, you may always expect coffee and mushrooms! Most mushrooms are good sources of copper, niacin, phosphorous and the antioxidant mineral, selenium. As well, many mushroom species contain iron, protein and vitamin C.
The brain-boosting power of mushrooms in backed up by clinical research. A 2014 study, which was published in The Journal of Nutrition, shows that forms of these tasty fungi which contain ergocalciferol may ease mild cognitive impairments and protect against brain toxicity. Both cognitive impairment and brain toxicity set the stage for dementia. How is Mushroom Coffee Made? To get the most nutritional and Nootropic advantages from mushrooms, those who source them in the wild (including Sigma Four employees!) and then add them to mushroom coffee mixes need to ensure that they are processed properly. If all of the goodness in these mushrooms isn’t extracted properly, they may not deliver all of the nutrients that they should. This is why the best mushroom coffee manufacturers are very careful about how they prepare their mushroom coffee blends. Of course, they also take care with their organic coffee beans. When you’re shopping around for mushroom coffee, look for manufacturers that add organic coffee to their mixes. The coffee beans should be roasted and brewed. Then, the coffee should be concentrated via an evaporation process. Once the evaporation process is complete, the coffee should be spray-dried. This will convert it into a powder, which is instant coffee. Now, let’s talk about how mushrooms for the best mushroom coffee blends are produced. Most respected mushroom coffee manufacturers perform alcohol and hot water extraction on the organic, wild-sourced mushrooms that they collect. They then create extract powders via spray-drying processes. The powders are generally free of carriers, fillers and sugar. Once the instant coffee and mushroom powders are ready, they are mixed together in the perfect ratio. All that you’ll need to do is add this ground coffee blend to your coffeemaker. Pods and single packets are also out there in the marketplace, so you’ll be able to choose the product format which is best for you. You may be envisioning a hot drink which tastes just like mushrooms, with a bit of coffee flavor in there somewhere. This may not be so appealing to you! What you probably don’t understand is that certain mushrooms, such as the Chaga mushrooms used in Sigma Four mushroom coffee, taste almost exactly like coffee. Chaga mushrooms have actually been used as coffee substitutes at times when coffee was hard to come by! The best way to rate the taste and performance benefits of mushroom coffee is to try a cup. If you want clearer cognitive functioning, without the coffee jitters, this “balanced stimulation” beverage may be right up your alley.